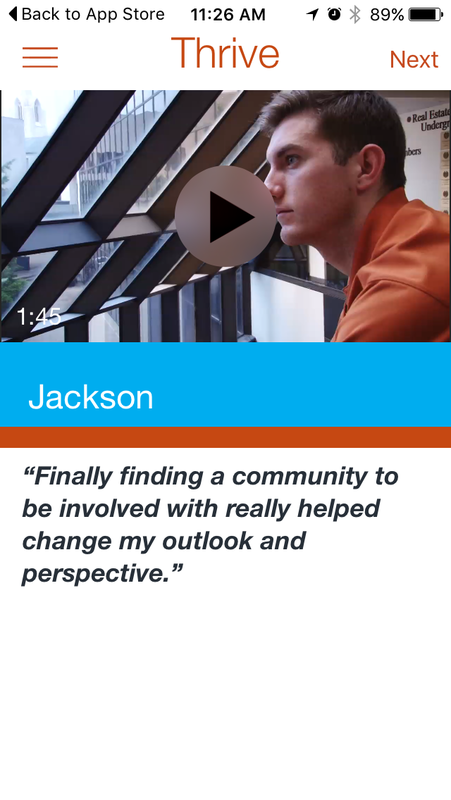 A project of the Counseling & Mental Health Center at The University of Texas, Thrive UT is a mobile app aimed at helping new students at UT adjust to the rigors of college and young adulthood. 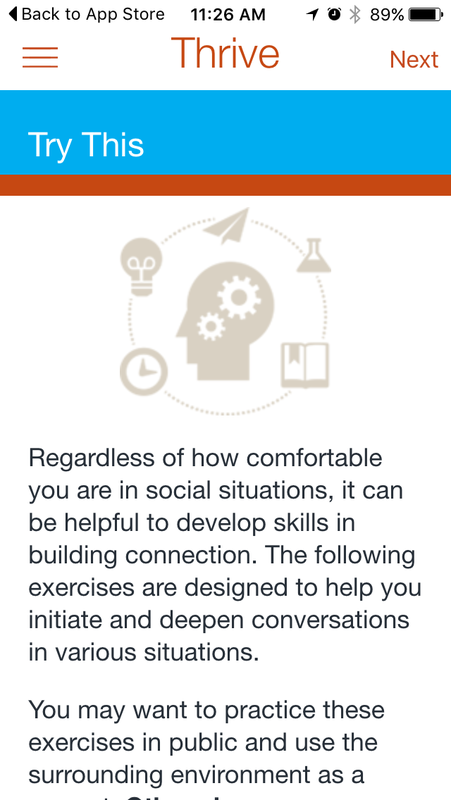 The app offers information and exercises on a variety of mental health topics––including mindfulness, the mind-body connection, emotional regulation, and coping mechanisms. As the lead agency on this project, we also worked closely with local app development company CabForward to build the back-end of the app, while we designed and built the front-end. There were times when the counseling approach and the principles of usability would clash. Steve Krug titled his prominent UX book Don’t Make Me Think––and that is a common goal in UX design. 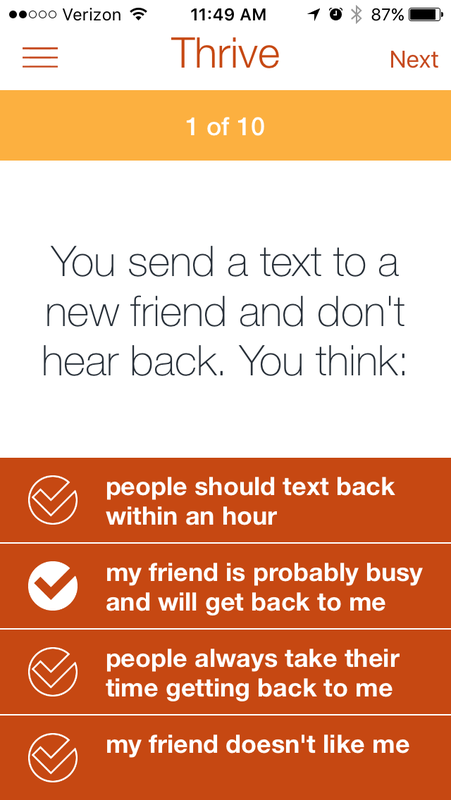 We try to make interactions as simple as possible for the user. However, in counseling, the goal is often to force the patient to think or to consider something that she/he may not want to face. 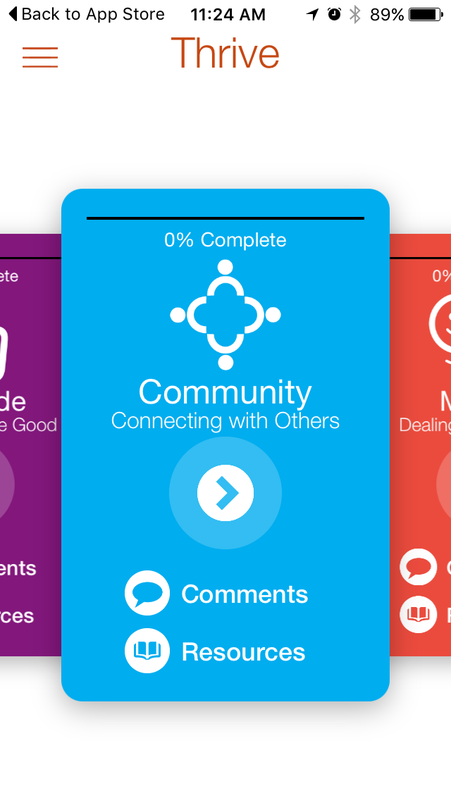 The app must be easy enough to maintain the attention of students and meet their expectations for a mobile experience, but be challenging and substantial enough to surface real mental health issues that may be uncomfortable to face. How well we were able to balance the two will likely determine how successful the app will be. Indeed. You can check it out for yourself by downloading Thrive UT (for free) from the App Store.